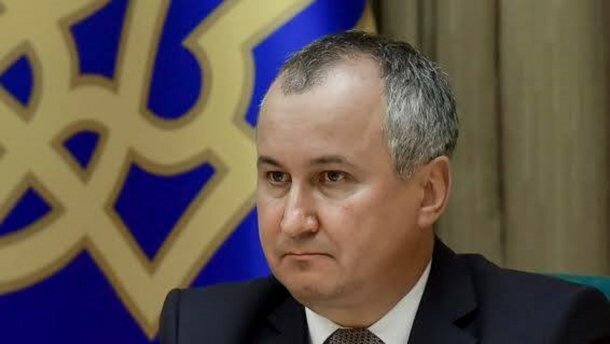 Lieutenant General of Russia’s FSB Dmitry Minaev is the organizer of the murder of Maksym Shapoval, the officer of Ukraine’s Intelligence Service and Security Service Colonel Oleksandr Kharaberyush as 112 Ukraine reported citing SBU Head Vasyl Hrytsak. “Lieutenant General of Russia’s FSB Dmitry Minaev, Head of Counter-Intelligence Department and who was born on October 18, 1966, is a real organizer of these murders, which caused the death of Oleksandr Kharaberyush and Maksym Shapoval and one more officer of the Ukrainian intelligence service had to be eliminated,” Hrytsak said. According to him, Minaev was at the occupied territories of Donbas at the so-called “Special Operation Center of State Security Ministry” on the days of the detonation of cars of Kharaberyush and Shapoval. The car exploded in Solominsky district of Kyiv in the morning of June 27, 2017. The accident occurred at the intersection of Solomenska and Mekhanizatorov street. The driver died in the car blast. The police opened the criminal investigation upon the article 'Terrorist Attack'. Later it was reported that the victim is the officer of the Chief Intelligence Directorate of Ukraine's Defense Ministry Maksym Shapoval. The mass media specified that the he was the head of the guard service of the former Russian State Duma Denis Voronenkov citing the source in the Ministry of Defense. On March 31, 2017, Oleksandr Kharaberyush, the SBU Colonel died in the car explosion in Mariupol. The SBU detained the suspect in the murder of Kharaberyush. Suspect Yulia Prasolova admitted that she planted the bomb under the car of the colonel.